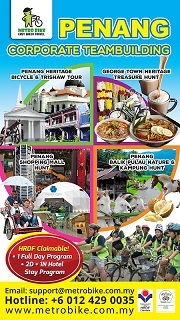 Specially made and targeted to foreign tourists and MICE to introduce Penang multi-cultural heritage sites, traditional trades, street arts and hawker food experience by bicycle or trishaw. With the newly-made bicycle pathways all the way on the streets of Georgetown, cycling has never been more fun than this. 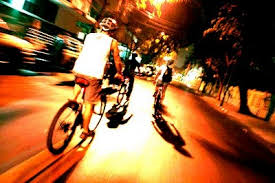 You will be able to cycle through traffics despite the jams and enjoy the historical trail of Georgetown. 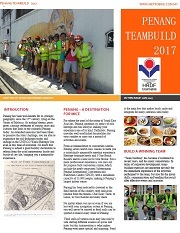 An amazing title bestowed to Georgetown - Penang Heritage City. Unequivocally, you will be amazed by the interesting historical values of this fair island, not forget to mention its tasty delicacies. 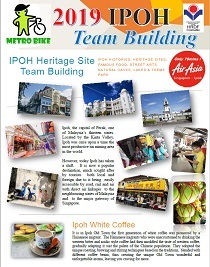 A package specially designed for those workaholics who would enjoy some breathtaking night sceneries around Georgetown. 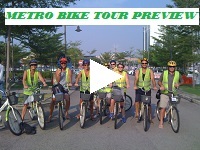 This tour is specially set at night for workaholics to enjoy evening or night fun ride and music around Georgetown during after work office hours that will let their hair down. 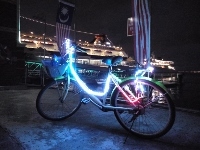 To lighten up the spirit, our bicycles are specially decorated with colourful LED that of course address safety concerns (safety helmets, safety jacket, PA insurance). Cycling becomes more fun with music all the way and colourfully decorated bicycles. 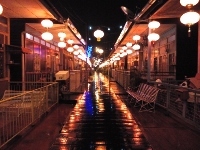 It may be late at night, but this bustling old city never sleeps. Various street hawker foods (Char Koay Teow, Hokkien Mee, Laksa, Satay & etc.) 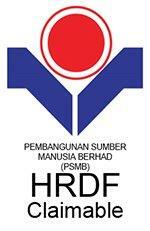 are still seen smoking and puffing at roadsides with sizzles that makes your saliva flow. Delicious night snacks can also be found at roadsides throughout the ride.